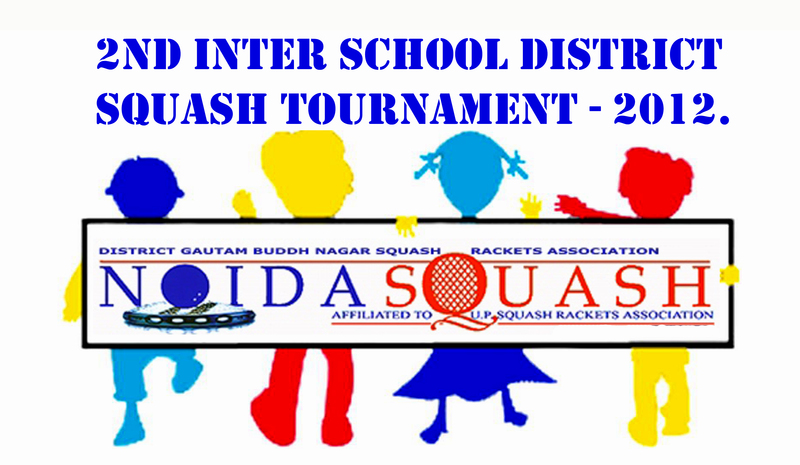 The District Gautam Buddh Nagar Squash Rackets Association is proud to announce the 2nd District Inter School Squash Tournament – 2012 which is open to all school going children of residents in Noida, Greater Noida, and Ghaziabad. 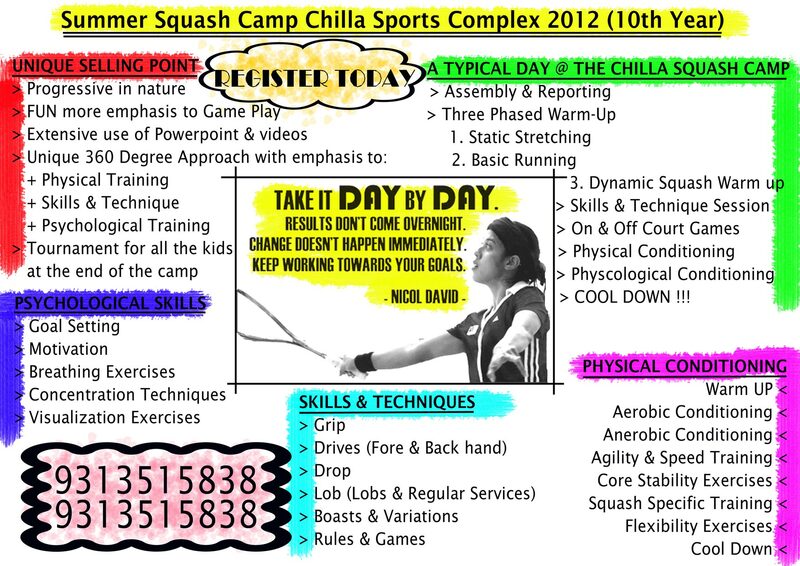 This event is being done by the District Association with the view of developing a healthy Junior Circuit for Squash in the area. We had a resounding success in the previous event hosted by Genesis Global School where children from Delhi Public School – Ghaziabad, Delhi Public School – Noida, Delhi Public School – Greater Noida, Lotus Valley School, Amity International – Noida, Mayor School – Noida, Khotari International – Noida, Pathways School – Noida, and Genesis Global School – Noida participated. For tomorrow’s tournament the hosts are Pathways School – Noida that houses two beautiful state of the art glass back courts. The participation this time is likely to increase considering the success of the last event. Some of the players who will be there will be representing the following distinguished schools from Noida – Amity International, Step by Step, Kothari International, Mayor School, Lotus Valley School, Genesis Global School, Delhi Public School – Noida, Delhi Public School – Ghaziabad, Apeejay School – Noida among others. 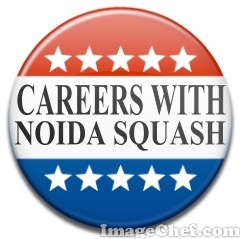 Noida Squash is taking keen steps in ensuring that all participating children get lots of squash to play by introducing the round robin format which will entitle every player equal opportunity irrespective of their skill levels. Ensuring that despite loosing a game players continue to play until the last round. The District Association is also gearing up to play an Under 9 years Jumboree for both boys and girls mix where the really youngones can get to experience the sport in a more competitive environment. While the winter gets a little chilly squash action in the District is keeping things warm this November. Keep watching this space for the latest the next three days…. It gives me great privilege to share with all of you a more concerted and pro-active ranking system that SRFI is in the process of putting into place beginning this years Junior Nationals. 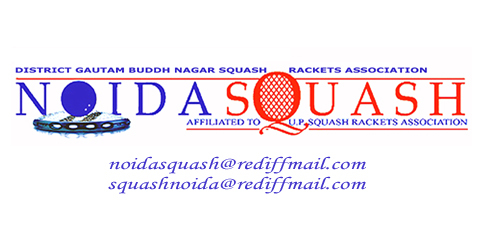 The District Gautam Buddh Nagar Squash Rackets Association has official communication from the Chairman National Junior Circuit Ranking Committee – Mr. Cyrus Poncha, who is also the National Coach asking me to share this with you all. The SRFI National Junior Rankings is the rankings of Indian juniors (Boys & Girls u19, u17, u15, u13 & u11) who participate in the NJC, Asian Squash Federation (ASF) & European Squash Federation (ESF) events. The status accorded for each event is given in Annex A. The SRFI has appointed a committee (Annex B) that will oversee the National Junior Circuit, Ranking Guidelines and seedings for tournaments. To establish and monitor the NJC, rankings and amend the guidelines when required. 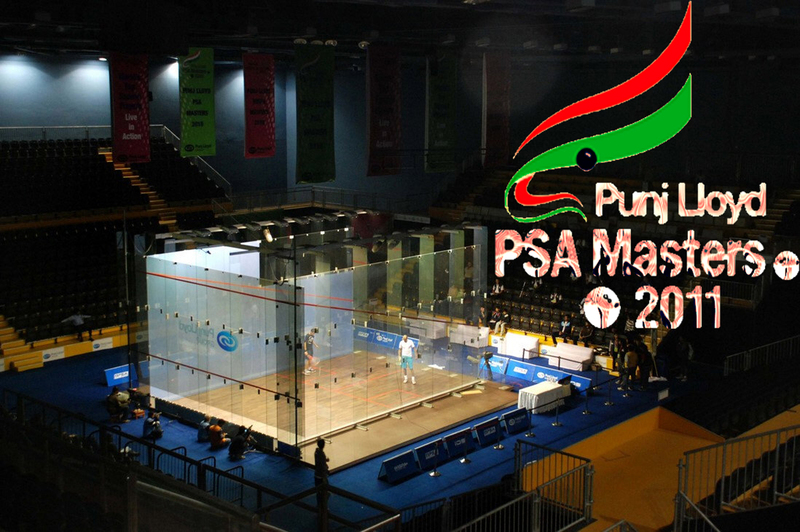 To publish the rankings in the first week of every alternate month (January, March, May,July, September, November) on http://www.indiasquash.com. Only tournaments that are completed by the last day of the 2nd month will be considered. To ensure the seedings made by respective tournament seeding committees are done using the SRFI rankings. (Seedings at tournaments must be done randomly in brackets of 3/4, 5/8, 9/16. Only players ranked no.1 & 2 will be placed in the draw). Players who are not in the ranking list may be seeded by the tournament committee on the basis of their PSA / WSA / WSF / ASF / ESF ranking. In the absence of any of the above the tournament committee has the prerogative to seed the player as they deem fit. To select players for the main draw, when the tournament includes a qualifying event. The status of all open tournaments will be reviewed and endorsed by SRFI Junior Circuit & Ranking Committee on an annual basis. The SRFI junior ranking has been used to seed the players. Complete results of the previous event have been sent to the SRFI. 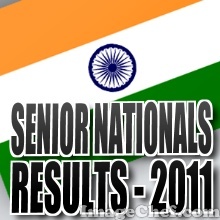 A minimum total prize money for juniors of Rs. 50,000 except for a 1st time tournament where the total prize money for juniors should be Rs. 1,00,000. To apply no later than 8 weeks prior to the start of the event by the local tournament organisers / state to the SRFI to be part of the junior circuit along with a fee of Rs. 1,000. Bronze Status on the ASF circuit. A national tournament having a proven record of success for at least 2 years or a 1st time event carrying minimum total prize money for juniors of Rs. 2,00,000 evenly distributed. A minimum total prize money for existing events of Rs. 1,00,000 for the juniors. To apply no later than 12 weeks prior to the start of the event by the local tournament organisers / state to the SRFI to be part of the junior circuit along with a fee of Rs. 2,000. A national tournament having a proven record of success for at least 4 years or a 1st time event carrying minimum total prize money for juniors of Rs. 4,00,000 evenly distributed. Play off for top 8 positions in all categories. Minimum total prize money for existing events of Rs. 2,00,000 for the juniors. To apply no later than 12 weeks prior to the start of the event by the tournament organisers / state to the SRFI to be part of the junior circuit along with a fee of Rs. 3,000. British Junior Open. 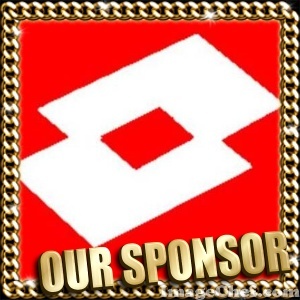 These are premier events and do not require any criteria. A national tournament having a proven record of success for at least 5 years or a 1st time event carrying minimum total prize money for juniors of Rs. 6,00,000 evenly distributed. To apply no later than 16 weeks prior to the start of the event by the tournament organisers / state to the SRFI to be part of the junior circuit along with a fee of Rs. 4,000. Five Star status will be awarded only to the Junior National Championships. The organisers would be required to submit a fee of Rs. 5,000 to the SRFI no later than 16 weeks prior to the start of the event. Ranking will be done for the following age groups – Boys and Girls Under 19, 17, 15, 13 & 11 years. Players should be under the stipulated age on the final scheduled day of the event. A player can enter 2 age categories if permitted in the tournament. Rankings will be given as per the age category participated in. If there are less than 8 players in an age group, the lower category will have to be combined with the next higher category. In the event a category is played with less than 8 players no points will be awarded. If age categories are combined, players will receive ranking points for the age category played in. After each tournament, points will be awarded to players depending on the position achieved and the tournament star status (Annex C). The top 64 players in every tournament will receive ranking points and will be included in the National Junior ranking list in the relevant age group. A player’s average point is calculated on a rolling 12-month basis. The ranking list is based on the total number of points accumulated (best four or less) by a player in these events in the previous 12 months, divided by 4. If a player has played more than 4 events in the previous 12 months, only the best 4 results will be divided to obtain the average. A player may only consider 3 of their best results from tournaments played in their designated home state. The 4th event has to be outside the player’s designated home state. When a player has played in two age categories and moves to the higher age category following a birthday, 50% of each of the best 4 results from the lower category will be transferred and the two records merged. Results from the higher age category will take precedence and will always be used to calculate the average, regardless of whether or not these results are the top four highest. Results from the lower age category will only be included in the calculation if the player has less than 4 results in the higher age category. Any player making a withdrawal after the entry closing date not supported by a medical certificate or a justified reason in writing provided before the commencement of the tournament or failing to turn up for a tournament will receive zero points for the tournament. This will count as one of their 4 best results for the rolling 12 month period and will be taken into account when dividing the points to obtain the ranking average. If a player commits one of these offences for a second time within a 12 month period, the player may be banned from the SRFI Junior Circuit for a period of 12 months. A player who has not participated in the Junior Circuit for a full 12 months from the final day of the last event in which the player competed will be removed from the ranking list. NB: Hosts for the above national tournaments must apply to the SRFI with the time scale as stipulated in the NJC & Ranking Guidelines. venue. The even is being played at Sri Fort Sports Complex that hosted the Commonwealth Games not so long ago with ample spectators seats one is hoping that the organisers, DDA and the Sponsors are able to penetrate the soul of youth in the city with a shot of Top Class Squash !! 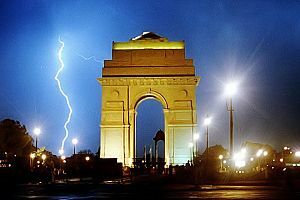 organisers failed to realise that New Delhi was celebrating its 1oo birthday. There could have been many more things to showcase to the world but I guess the Top Brass (Cheif Guests) were in great demand and something more important would have whisked the one missing away.